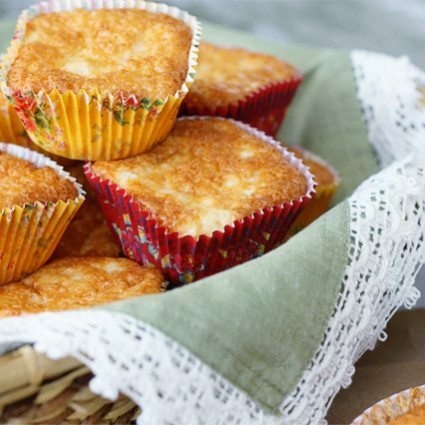 These moist and fluffy cupcakes laced with crushed pineapple are the perfect guilt-free treat! Line brownie bar pan with cupcake liners. (Regular cupcake liners will go square when filled). Mix cake mix and pineapple thoroughly. Fill each liner with mixture. Note: This makes 24 cupcakes but you need to do both pans at the same time. If the batter sits too long it goes flat and icky. WW+ Point Value: 1 point per cupcake.